And that is in the shade! I'm still here! 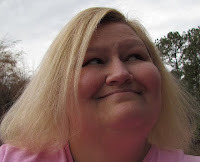 It's been like 20 days since I blogged, but I declare this summer is kicking my hiney, lol! Plus it's been soo hot! Hope it's cooler where you are! 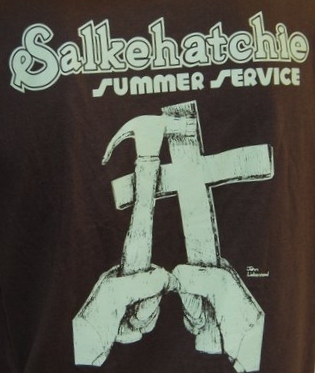 Mitchell had a great time at his last Salkehatchie camp! We were able to go down the last day and see what houses he had worked on. There were two houses that he helped build ramps on and they also did a little inside plumbing work on them. One of the ramps was for a little girl. A car her and her grandmother were in was hit by a driver who was texting and now the little girl is in a wheelchair forever. They were just the sweetest family! I am so proud of Mitchell for being so open and willing to help them! He really felt close to the family and they all gave him hugs when he left. Since then we have been doing VBS at our church. We do it a little differently than most and go on Sunday and Wednesday for two weeks and then this Saturday we will have our Survivor weekend. The kids will go Saturday morning and stay until Sunday after church. I'll post more on it later. We have had the best time with the kids and our theme rocks!